Okay, remember all that stuff I said about how Made In Jersey was the anti-Mindy Project? I totally take it back. Emily Owens, MD is the anti-Mindy Project. In a good way, obviously. To remind all of you following at home, The Mindy Project follows Dr. Mindy Lahiri, a successful OBGYN in New York City who just can’t seem to get her life together. She’s a complete mess, but, hey, at least she’s funny! It’s a very well written sitcom that bases all of its humor off of Mindy’s self-loathing and terrible life choices. Needless to say, I was less than impressed. Emily Owens, MD is pretty similarly structured. It follows Dr. Emily Owens, a resident at some hospital somewhere as she comes to the realization that hospitals are just like high school but for grownups. Emily is painfully awkward and shy, terrible at expressing her feelings, and a little judgmental and juvenile. The major difference between these two shows, which really do have very similar premises, is that Emily and Mindy view their lives in completely different ways. Emily (played to perfection by relative newcomer Mamie Gummer) really cares about what she’s doing. She doesn’t do it for the money or the excitement, she’s just genuinely interested in caring for people to the best of her ability. And her awkwardness and insecurity is completely unrelated to her job. She knows she’s a great doctor, she just can be a little down on herself. But at the end of the day (literally, the pilot episode takes place over the course of a day), we know that Emily really likes who she is and what she’s doing. Everything else is out of her control. Emily is earnest. Painfully so, in fact. She just cares so darn much that it’s a little hard to watch. You see her completely empathizing with a little girl who’s going to have to go in for a major surgery. She gets overly emotionally involved in the life of an elderly patient. Yes, she’s a little over-emotional. But it’s never raised as a truly bad thing that Emily cares. It’s part of what makes her a good doctor. More than that, though, Emily doesn’t actually hate herself for being awkward and occasionally really weird. She’s insecure, but she’s coming to accept that it’s not the worst thing in the world to be insecure about yourself. And, it isn’t. The difference between these two shows really comes down to acceptance. Mindy believes that her life is incomplete because she doesn’t have some fairy tale romantic comedy going on, while Emily figures she still has some growing up to do before she’s comfortable in her own skin. Their goals are completely different, and I’ll be totally honest about how much more interested I am in Emily’s journey. It’s not that the show’s amazing. It’s good, but it’s pretty obviously a Grey’s Anatomy cash in. What really works here is Emily herself. You like her, you feel for her. 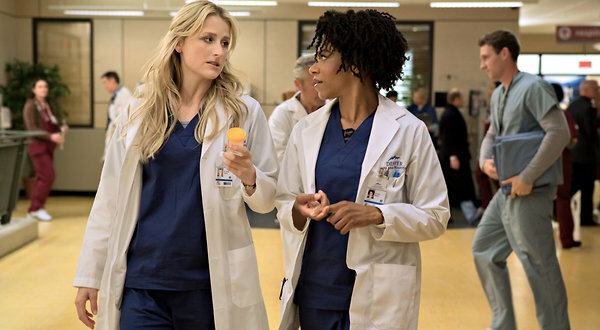 When Emily accidentally makes a nurse think she’s a lesbian, you cringe for her. Emily’s a good person. The show never makes you feel like she should apologize for this or hate herself. And in my book, that’s a winner every time. I will leave you with a quote from the end of the pilot episode, because I can. 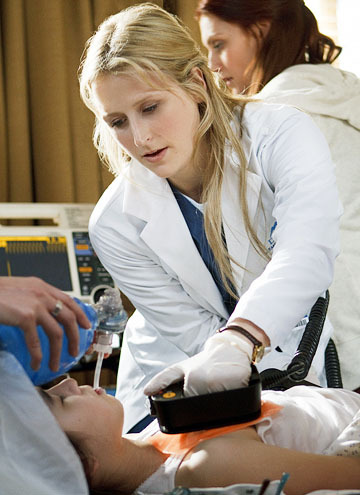 Emily Owens MD airs on Tuesdays at 9pm on the CW.